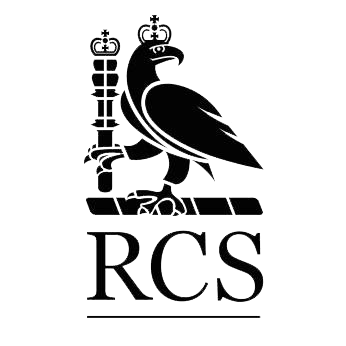 Dimitra graduated in 2006 from Guy’s, King’s and St Thomas’ Dental Institute with a Bachelor of Dental Surgery and was awarded her Membership with the Royal College of Surgeons of Edinburgh in 2008. She subsequently worked as a Senior House Officer in Oral & Maxillofacial Surgery at Guy’s, King’s and St Thomas’ Hospitals, the Royal Surrey County Hospital in Sussex and in private practice in Kent as well as in Athens, Greece. In 2015 she completed her specialty training at the Eastman Dental Institute, UCL where she was awarded her MClinDent in Periodontology. At the same time, she obtained her Membership in Restorative Dentistry at the Royal College of Surgeons of England and was accredited a Certificate in Periodontology from the European Federation of Periodontology. 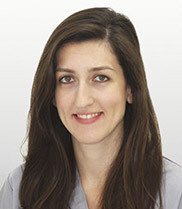 Dimitra is registered on the GDC’s Specialist List for Periodontics. She collaborates closely with our team at K Dental Studios to provide treatment for patients with periodontal needs and delivers a number of lectures and workshops on the topics of periodontology and implant dentistry. Her interest in Periodontics stems from the perception that changing patients’ attitude towards oral hygiene and optimising the periodontal tissues set the foundations for achieving oral health and are vital steps before proceeding to advanced dental treatments. Dimitra also holds a post as Clinical Research Fellow at the Institute of Dentistry at Queen Mary’s University, London where she works on clinical trials at the Centre of Clinical Oral Research.